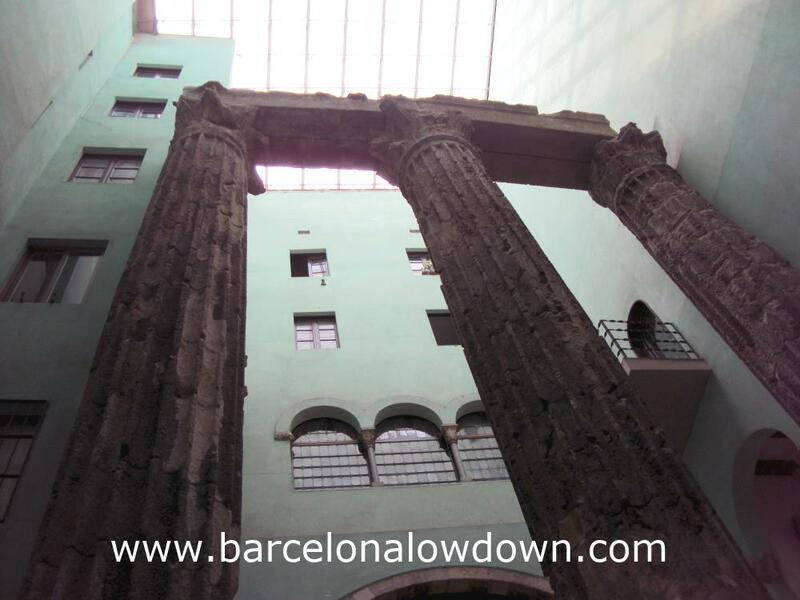 Tucked away inside a medieval building in the Gothic quarter of Barcelona, these 9m high Corinthian style columns are nearly as old as the city itself. The Temple of Augustus dates back to the first century BC and was part of the Forum, at the centre of the Roman city of Barcino. Unlike the majority of Roman buildings which were torn down and built on top of. 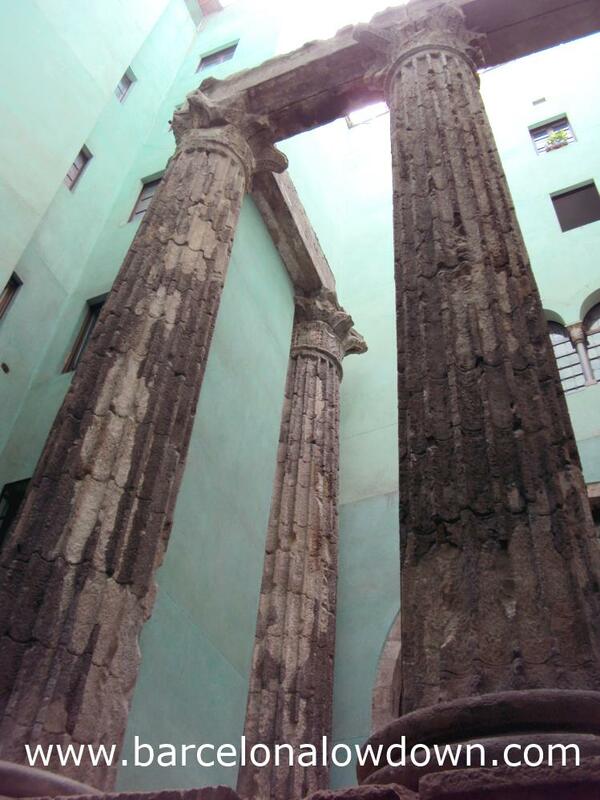 The columns of the Temple of Augustus remained intact and were incorporated into the medieval buildings which were built around them. During the first half of the twentieth century the Gothic building was purchased by the “Centre Excursionista de Catalunya” (Hiking Club of Catalonia) who gave Catalan architect Lluís Domènech the task of restoring the columns and constructing a courtyard to display them to the public. The nearest metro stop is Jaume I on the green line (L4). This entry was posted in Attractions tagged architecture, free entry, gothic quarter, MUHBA and updated on November 1, 2016 by Richard.